The Matrix MLM software compensation plan is also known as Forced Matrix plan or Ladder Plan. This is one of the most common MLM compensation plans. In fact, it used to be synonymous with the whole concept of multi-level marketing for most people. Matrix plans are denoted by a “Depth” and “Width”, both of which are fixed. The fundamental structure of the Matrix plan is classified by the width and depth of the matrix. The width and depth factors vary from matrix to matrix, such as 3 X 3, 3 X 4, 4 X 5 and so on. 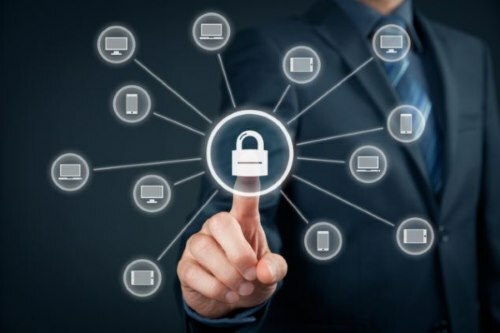 WHAT IS MATRIX MLM SOFTWARE ? 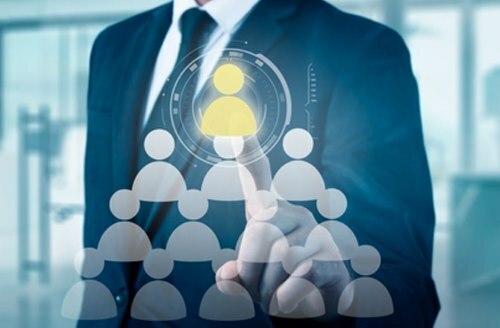 In matrix compensation plan, a team member is expected and limited to sponsor the number of front-line members or associates. This number is indicated by the width factor. Members would be getting paid to the level indicated by the depth factor. 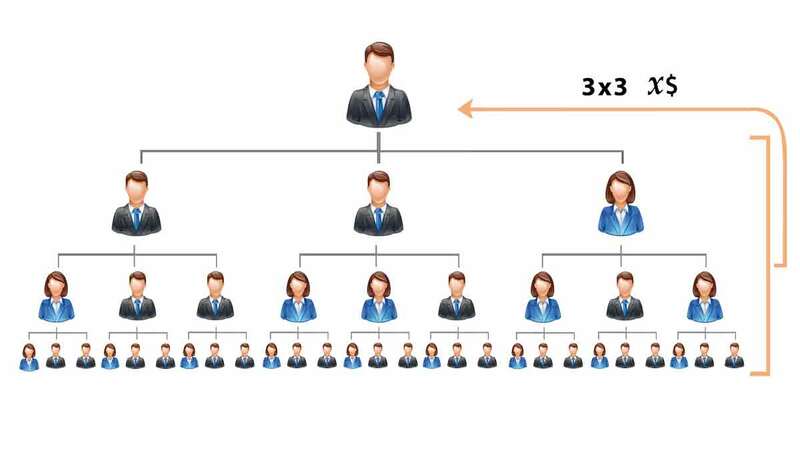 For example, if the matrix is 3 X 5, every team member would be required to recruit 3 front-line members each. And each member would be getting paid down to level 5. Theoretically it is possible to saturate the business in this plan, it rarely happens in reality. It is a proven and time-tested compensation plan and 15% of all MLM companies follow the matrix plan. 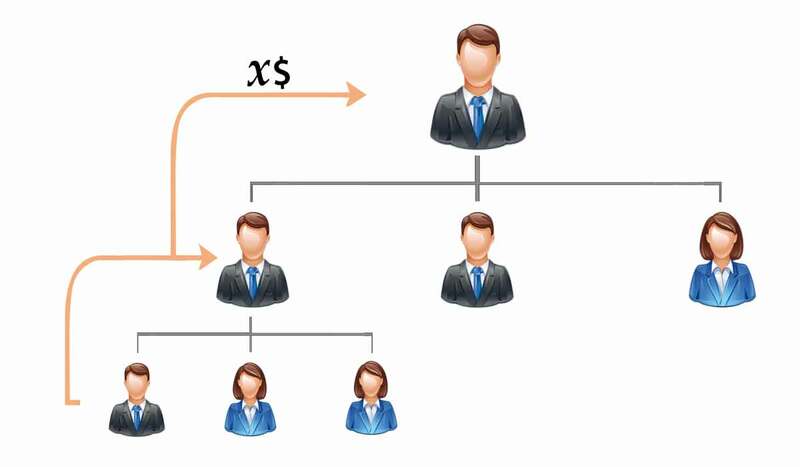 HOW MATRIX MLM SOFTWARE WORKS? 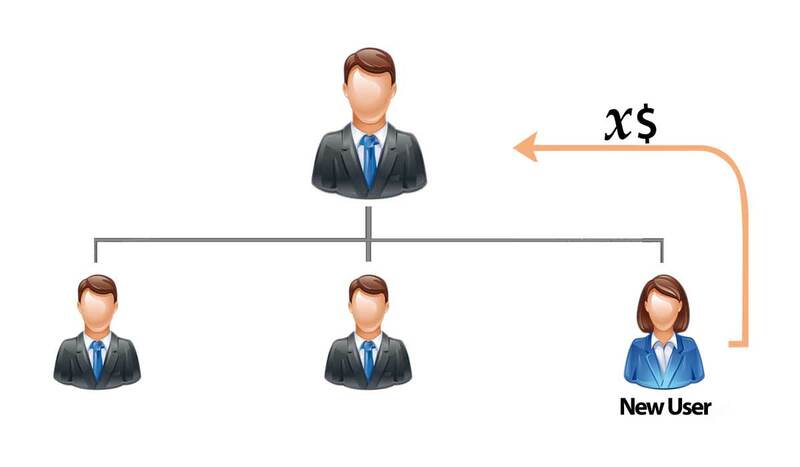 As you can see, the number of front-line associates a team member can have is fixed in the matrix plan. Therefore, once a member has reached that particular level, any new associates sponsored by him would be arranged under one of his existing frontline associates. This progression is what is called “spill over“, which is a key term in the matrix plan. Spill over ensures a consistent development of the whole team rather than imbalanced advancement of individual team members. Thereby, the matrix compensation plan promotes cooperation and collaboration among the members of the team. It also brings in a culture of team spirit to the company, which is a healthy characteristic for success. Once a member has established his required number of frontline associates, he can turn his focus to developing these associates. This greatly encourages newcomers and helps the company grow in the long run. It is the one MLM compensation plan that nurtures qualities like leadership and initiative among team members. The fixed structure of the Matrix compensation plan makes it easy to manage individual teams. Since it is based on teamwork, this plan helps in growing the credibility of the company as a whole. Team members are allowed the flexibility to develop their teams as and how they see fit. It is easier to attract new members as they can be sure of the support from members above them. The spill over feature of the Matrix plan helps in building deeper and stronger MLM networks. Since the plan is relatively simple compared to other MLM plans, it is easier to explain to new members. Because of the variable pay scale of different levels of the matrix, members on the lower levels will benefit lesser from teamwork. Wider matrices will require higher team members to do more work, to advance the team to the next level. The variable pay scale depending on the width and depth of the plan can be confusing to prospects. When a member from the upper levels quit, it creates a vacuum that can’t be filled, affecting the income of everyone above him. Such a scenario will also result in a waste of effort put in by other members in growing his leg of the team. Since there is a limit to the depth to which a member gets paid, it demotivates upper level members to continue working after a certain point. Since team effort is guaranteed, some members tend to get lazy and stop working, cashing in on the effort of other members. 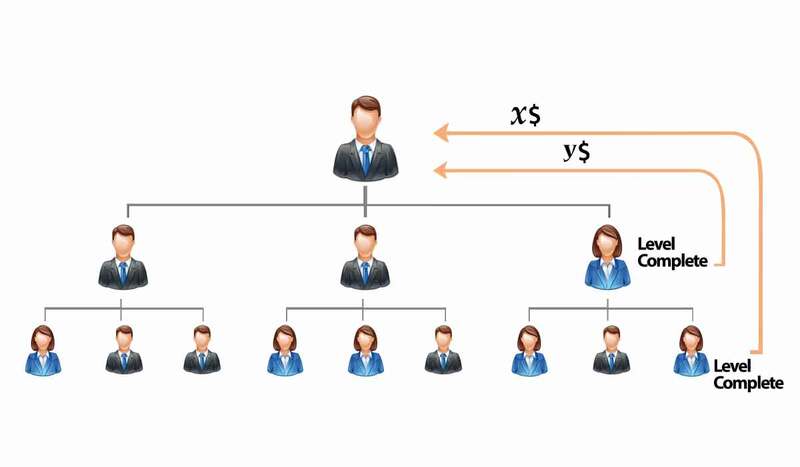 People tend to compare MLM businesses following this plan with pyramid schemes, which affects the overall reputation of the company. In conjunction with the variable pay scale, some Matrix MLM plans can be quite wide, having to sponsor 6 or more front-line on your front-line. This increased width hinders support with downline members as members are focused on filling their front-line first. Another potential drawback to the Matrix Compensation plan is explaining the compensation plan to prospects looking at the business opportunity. The width and depth of the plan coupled with the variable pay scale can leave many prospects confused and in turn saying no to the opportunity. When the member completes his corresponding width in each level, he gets an income which is called as level bonus. If there are 5 levels in a plan, then the member is eligible to receive the level commissions 5 times in total by completing each of his 5 levels. It is same like in other compensation plans. This as a motivational bonus because these type of bonus is offered by sponsors to make members active in stable network expansion. One member will receive the matching bonus when his downline member achieves a commission. It will be a percentage of the downline member’s earning.